My Texas-bred Uncle Ron has this incredible recipe for Jalapeno Cheese Grits, an ultimate comfort food. My version captures the same delicious cheesy texture with lots of vegetables and without all the extra cream and butter. This recipe is one of my favorite plan ahead meals, particularly as a filling, easy breakfast for early mornings before work. It also works well as a side dish for dinner, doing double duty as the starch and vegetable. I have experimented with all sorts of vegetables (including spinach, mushrooms and asparagus). All of the variations have been delicious, though I am particularly fond of the zucchini bell pepper combo that I have laid out here because it provides some great color contrast to the yellow polenta. 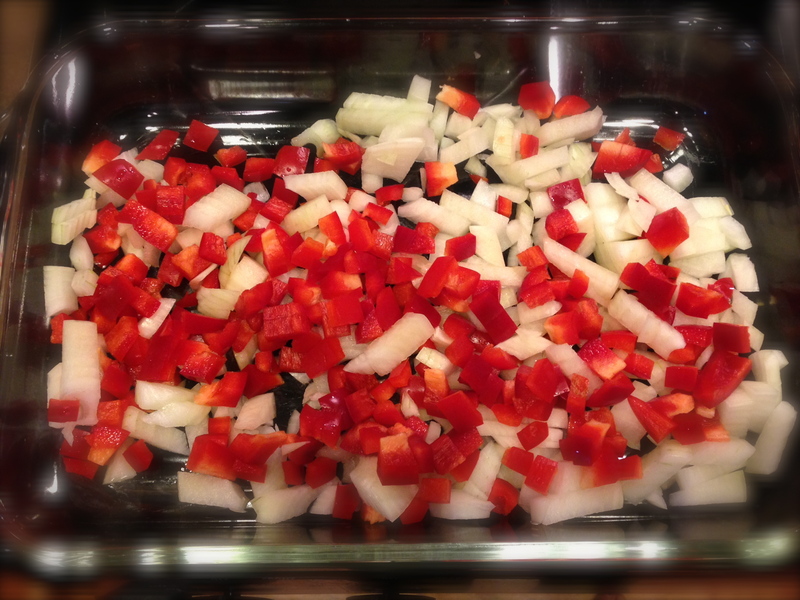 Chop the vegetables and lay them out in a 13 x 9 oven safe casserole or glass dish. 3. 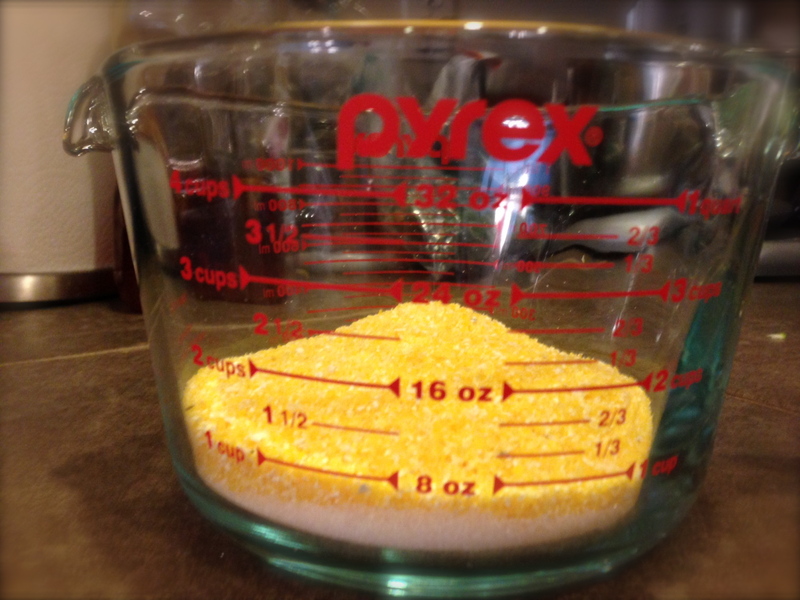 Add boiling water to polenta and sea salt. 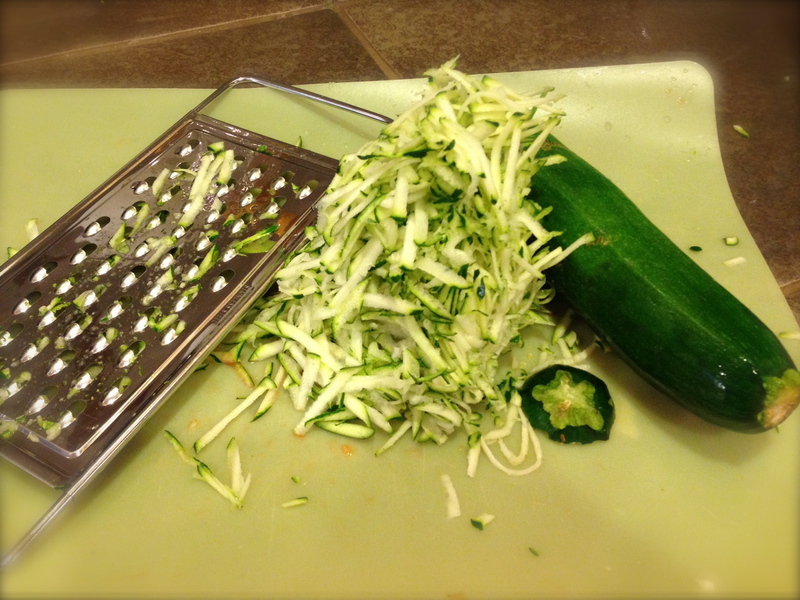 Mix together well, then pour over vegetables. 4. Bake in oven for 40 minutes. 5. Take casserole out of the oven and add the sharp cheddar cheese. Mix well and return to the oven for 20 more minutes. Recipe makes four hearty servings, 240 calories per serving. 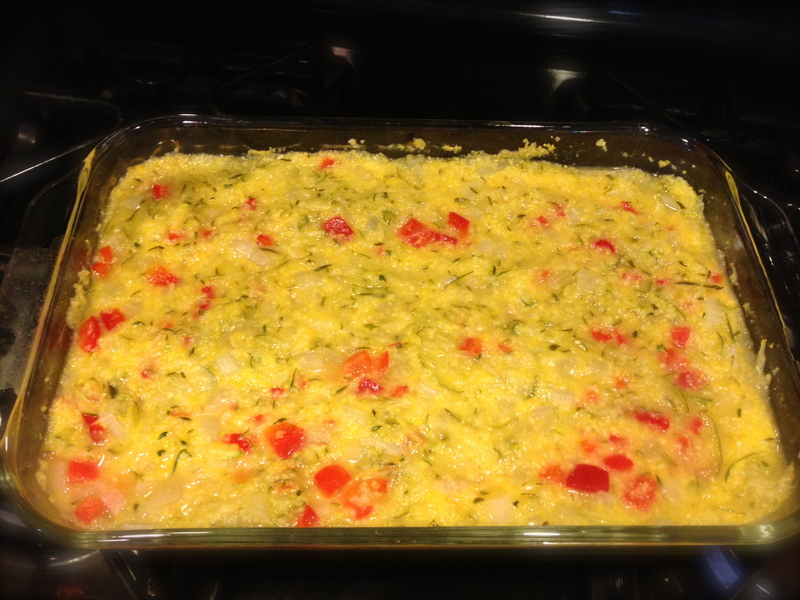 This entry was posted in Breakfast, Side Dish and tagged breakfast, cheese, dinner, flourless, gluten-free, savory, vegetable, vegetarian, veggie. Bookmark the permalink.